St. Louis County Library is in the midst of a multi-year capital improvement campaign called Your Library Renewed. In 2012, voters approved a $.06 tax increase to fund new facilities and upgrades to existing structures, as well as enhanced library programs and services. The information presented here is a work in progress, some of the renderings and design plans are preliminary and subject to change. We're working to provide the most up-to-date information possible. We welcome your feedback on the Your Library Renewed campaign, please complete this form to share your input. Meramec Valley Branch–opening May 15 at 9:00 a.m. Completed. Opened to the public June 13, 2017. Visitors to the Bridgeton Trails Branch will first notice the new plaza with native plantings at the entrance to the branch. Once inside, a large circulation desk welcomes patrons. 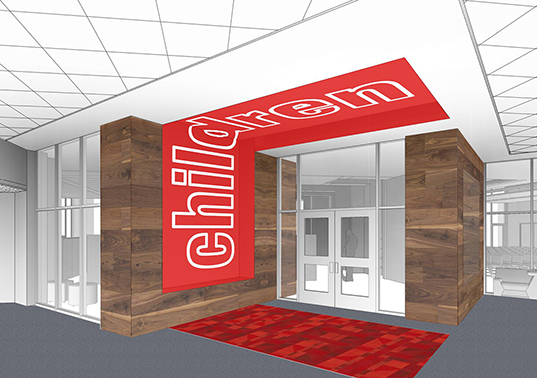 The enhanced children’s area features a colorful, red entryway. Kid-sized shelving, called browsing bins, allows children to more easily select their own books. The space also features special furniture for families to read and do activities together, as well as a family restroom. Teens will have a designated space also, with bold furniture. Two private study rooms have been added to the branch, as well as a quiet reading room, a laptop bar, a business center with fax, copy and scanning machines, and a vending area. A revamped community meeting room with a projector, sound system and white board will be available for use by individuals and organizations. New shelving, furniture and carpeting has been installed throughout the branch. View photos of the construction progress. View photos from opening day June 13, 2017. Completed. Opened to the public September 21, 2016. Visitors to the Cliff Cave Branch will first notice the new entrance, which is now located on the north side of the building. A veranda overlooks the native plants and grasses that surround the entrance. The new, open floor plan gives the branch a bright, airy feel. The enhanced children's area features a colorful, striped portal that leads into the space. An oversized reading nook will be a popular spot for kids and parents to cozy up with a book. New shelving, called browsing bins, has been installed and will allow children to more easily select their own books. The space also features special furniture for families to read and do activities together, as well as a family restroom. 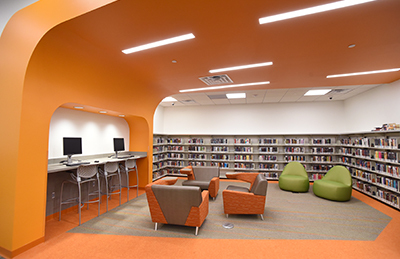 A bold, orange soffit marks the teen space, which includes computers and comfy furniture. A new 20-foot window in the rear of the branch provides views of the Cliff Cave Community Garden. Two private study rooms have been added to the branch, as well as a new computer lab, a quiet reading room, a laptop bar, a business center with fax, copy and scanning machines, and a vending area. A revamped community meeting room with a projector, sound system and white board will be available for use by individuals and organizations. New shelving, furniture and carpeting has been installed throughout the branch. View photos from opening day, September 21, 2016. Completed. Opened to the public October 25, 2017. 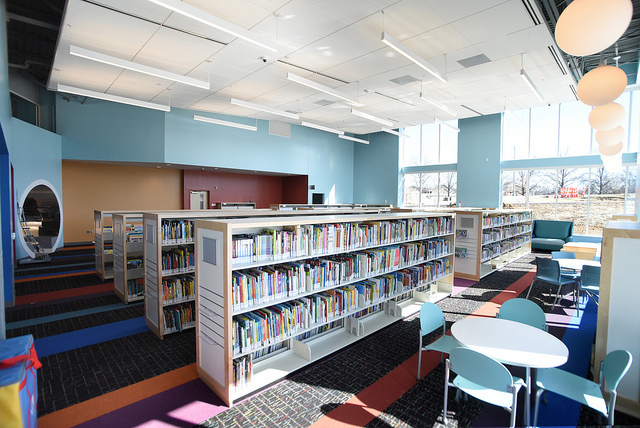 The renovated branch has an additional 10,000 square feet that includes a Discovery Zone for children, collection space, a quiet reading room, a program room and comfortable seating areas. 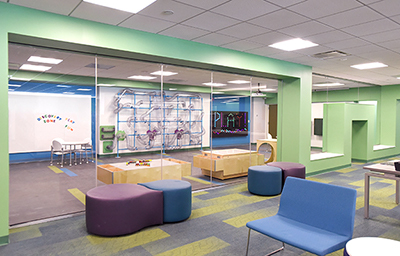 The Daniel Boone Branch is the second to feature a Discovery Zone–an entire floor dedicated to children with engaging, educational activities. The Discovery Zone has several unique features including a slide, a pneumatic tube display and an interactive light wall, similar to an oversized Lite Brite, where kids can create colorful designs. There are two large-format touch screens where kids can play games and expand their digital literacy skills using educational apps. The Discovery Zone also includes an area for younger explorers, with features designed for small children such as reading nooks, interactive literacy panels, and a Crooked House, sponsored by West Newsmagazine. Additional upgrades include a designated space for teens with bold furniture and colorful fixtures. Six private study rooms have been added to the branch, as well as a quiet reading room, a laptop bar, a business center with fax, copy and scanning machines, and a vending area. Four revamped community meeting rooms will be available for use by individuals and organizations. New shelving, furniture and carpeting has been installed throughout the branch. View photos from opening day. Completed. Opened to the public August 2, 2017. The highlight of the renovated Florissant Valley Branch is the new children’s Discovery Zone, sponsored by Emerson. The space is designed to encourage children to explore, play and learn. The Discovery Zone has several unique features including a pneumatic tube display, an interactive light wall, and a large format touch screen where kids can play games using educational apps. The Discovery Zone also includes an area for younger explorers, sponsored by Dana Brown Charitable Trust. The Early Explorers’ Area will have activities designed for small children. 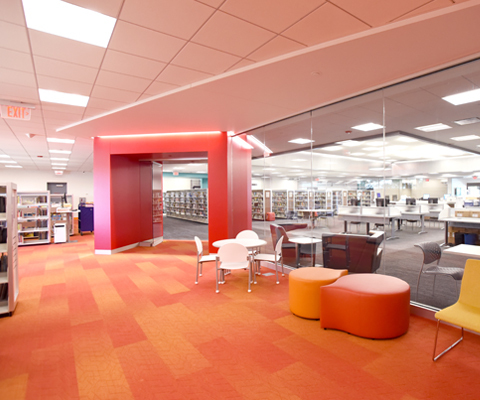 The renovated branch also features a new teen space, three private study rooms, a quiet reading room, a laptop bar, a business center with fax, copy and scanning machines, a vending area and two revamped community meeting rooms. New shelving, furniture and carpeting has been installed throughout the branch. View photos from opening day, August 2, 2017. Completed. Opened to the public September 13, 2018. The branch is located at 1010 Meramec Station Road, Manchester, MO 63021. 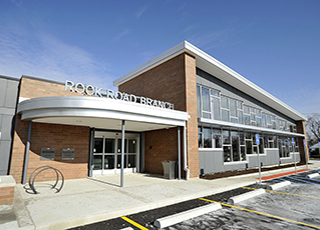 The renovated Grand Glaize Branch features a 5,500 square feet addition on the west side of the building. The glass enclosed expansion has allowed for a larger children’s area and community meeting room. Walnut accents and calming shades of blue and grey are used throughout the interior of the branch. Architectural light fixtures, new windows and updated furniture give the space a modern and welcoming feel. The new children’s area is brightly decorated in shades of red and orange and includes kid-friendly furniture, interactive learning stations and several reading nooks. The teen space features a textured wall mural, fun furniture and computers. The renovated branch includes a computer lab, where patrons can take free classes on a variety of technology related topics. Other highlights include two updated community meeting rooms, a business center with fax, copy and scanning machines; a café area with tables, a laptop bar and vending machines; a quiet reading area; and three private study rooms. New shelving, furniture and carpeting has been installed throughout the branch. Completed. Opened to the public December 22, 2015. The new Grant's View Branch replaces the Tesson Ferry Branch, which closed to the public on November 14, 2015. Tesson Ferry was the Library District's oldest branch. Opened in 1958, the building structure was deteriorating and mechanical systems were failing-making the replacement of this location a top priority. SLCL purchased a parcel of land located at 9700 Musick Rd. at Gravois for the new Grant's View Branch. The 4.29 acre site is 1.87 miles from the former Tesson Ferry Branch and a 3-minute drive. Grant’s View is one of the largest branches in the Library District, encompassing over 37,000 square feet. The stunning new branch features a large, two-story glass atrium with comfortable seating and a café area with vending. 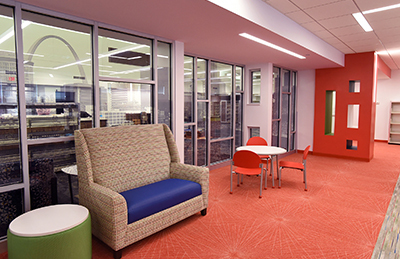 Other highlights include an expanded, colorful children’s area with a program area and interactive displays; four quiet study rooms, new computers and an instructional lab, a dedicated teen space, and a quiet reading room. A large meeting room, seating 300+, will be available for use by community groups and businesses. The space can also be divided into two smaller meeting rooms. Green space around the branch includes a children’s garden where families can read together or attend programs, and a community garden. A groundbreaking ceremony was held on Thursday, September 25 at the construction site near the intersection of Gravois and Musick Roads. View photos from opening day, December 22, 2015. Completed. Opened to the public November 23, 2015. Visitors to the renovated Indian Trails Branch will immediately notice the new entrance, which features a plaza and new sliding doors. Inside the branch, LED lighting and new windows help the space feel brighter. Community input helped determine many of the amenities included in the renovated branch. 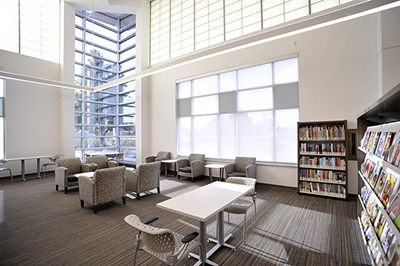 Some of the highlights include an expanded children's area; a business center with fax, copy and scanning machines; a large community meeting room; a café area with vending machines and tables; two private study rooms; a quiet reading area called the "living room;" and a dedicated teen area. Renovated locations will also receive new computers, furniture and carpeting. Comfortable seating areas are available throughout branch. View photos from opening day, November 23, 2015. Completed. Opened to the public November 12, 2015. Community input helped determine many of the amenities included in the renovated Jamestown Bluffs Branch. Some of the highlights include an expanded children's area; a business center with fax, copy and scanning machines; two community meeting rooms; a café area with vending machines and tables; two private study rooms; a quiet reading area called the "living room;" and an expanded, colorful teen area. Renovated locations will also receive new computers, furniture and carpeting. Comfortable seating areas are available throughout branch. View photos from opening day, November 12, 2015. View photos from the ribbon cutting ceremony, December 3, 2015. Completed. Opened to the public October 14, 2015. 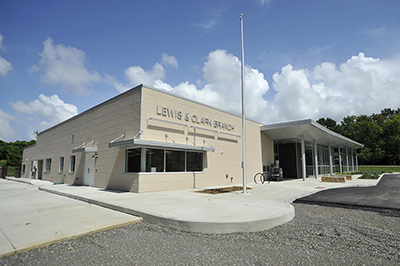 The former Lewis & Clark Branch opened to the public in 1963. The building was 16,000 square feet on two floors and had undergone several renovations over the years, but was no longer considered practical for a modern library. Space restrictions, the lack of study rooms, quiet spaces and seating throughout the branch, and the need for more computers were the most common issues cited by patrons at this location. Community input helped determine many of the amenities included in the new, 20,000 square foot branch branch. Some of the highlights include an expanded children's area with discovery themed details-including the Big and Little Dipper made out of LED lights; a business center with fax, copy and scanning machines; three different computing areas with all new computers (57 total); a large community meeting room with a white board and projector; three private study rooms; and an expanded, colorful teen area. The iconic stained glass windows depicting Lewis, Clark and Sacagawea have been reinstalled at the new branch. The panels, originally created by Emil Frei & Associates, were removed from the old branch before demolition. The experts at Emil Frei carefully cleaned and restored the windows, which are now on display on the east side of the new building. Two community forums were held on Friday, January 30, 2015 at 2:00 p.m. and Thursday, February 5, 2015 at 6:00 p.m. at the current Lewis & Clark Branch. A groundbreaking ceremony was held on Thursday, October 23, 2014 at the construction site. View photos from opening day, October 14, 2015. View photos from the ribbon cutting ceremony on October 30, 2015. Opening to the public on Wednesday, May 15 at 9:00 a.m. The old location at 625 New Smizer Mill Road will close to the public at 5:00 p.m. on Saturday, April 27. Located at 1501 San Simeon Way in unincorporated St. Louis County. 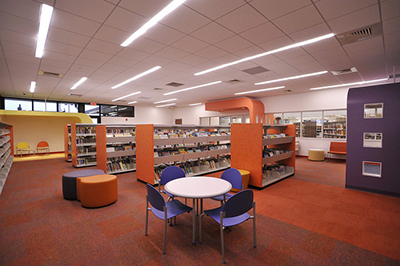 The new Meramec Valley Branch is a full service library branch encompassing 21,000 square feet. The new branch features a colorful interior, with abundant natural light, comfortable seating, architectural light fixtures, wood accents and contemporary furniture throughout. The new branch is the third location to feature a Discovery Zone–a space designed to encourage children to explore, play and learn. The Discovery Zone has several unique features including touchscreens, a pneumatic tube maze, a light table, a magnetic wall with gears and a ball maze. The dynamic space also features mirrors for crawlers, a construction-like wall with foam bricks, a story wall with lyrics of four favorite children’s songs, a build-your-own-race-car race track, and a 250 square foot built in playhouse with operable lights, a mail slot, a kitchen set and other play furniture. Ample comfortable seating for parent-child reading and other family-friendly furniture is also featured. 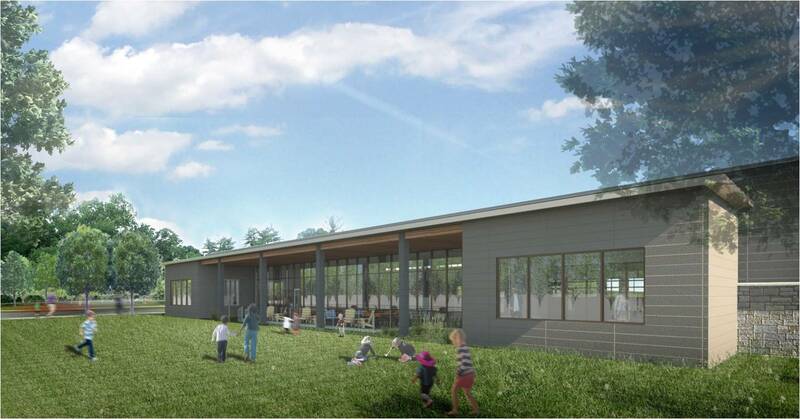 Other amenities at the branch include three private study rooms, a quiet reading room, a community meeting room with a capacity of 150, a business center, a community garden (spring 2020), a 1/3 mile walking path, and an outdoor reading deck. View photos of the groundbreaking ceremony held on May 30, 2018. The Mid-County Branch closed for construction on November 18, 2017. Patrons should visit the Indian Trails Branch to pick up holds during the temporary closure. New ​18,860​ square foot building. Completed. Opened to the public September 14, 2016. 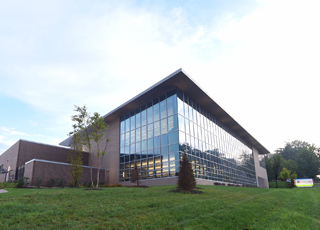 The Natural Bridge Branch is home to the new Emerson Technology Center-an after-hours computer lab. Emerson donated $75,000 to help fund the lab. The Emerson Technology Center contains 26 public computers and will be open during regular library hours and will offer extended hours from 9:00-11:00 p.m. Monday - Thursday and 5:00-7:00 p.m. on Fridays. The after-hours lab is a first for the Library District. Computer use at the Natural Bridge is the highest of all 20 SLCL locations. The lab will be a family friendly environment. Adults can bring their children into the lab; tables and other activities will be available for the kids. A business center with fax, scan and copy capabilities is also available inside the lab. There will be a total of 53 public computers available at the Natural Bridge, the most of any SLCL branch. The children's area of the branch is sponsored by Cardinals Care and features a mural of the St. Louis skyline as seen from Busch Stadium, along with red hued furniture and carpeting. A wall of windows in the back of the space will be a great spot for story time. Kid-sized shelving, called browsing bins, has been installed and will allow children to more easily select their own books. The space also features special furniture for families to read and do activities together, as well as a family restroom. The Natural Bridge Branch also includes two community meetings rooms, the larger of which is sponsored by "House of Cards" creator Beau Willimon, a St. Louis native. Other improvements include a new teen space with bold shades of lime green and navy; three private study rooms; and a quiet reading room. New shelving, furniture and carpeting has also been installed throughout the branch. View photos from opening day, September 14, 2016. Completed. Opened to the public August 17, 2016. Visitors to the Oak Bend Branch will first notice the new entrance to the branch, which features a large plaza with native plantings and new windows around the entrance. Inside the branch the floor plan has been completely redesigned. A large circulation desk welcomes patrons. The enhanced children's area features a colorful entryway. Kid-sized shelving, called browsing bins, allows children to more easily select their own books. The space also features special furniture for families to read and do activities together, as well as a family restroom. Teens will have a designated space also, with a laptop bar and bold furniture. Two private study rooms have been added to the branch, as well as a new computer lab, a quiet reading room, a laptop bar, a business center with fax, copy and scanning machines, and a vending area. A revamped community meeting room with a projector, sound system and white board will be available for use by individuals and organizations. New shelving, furniture and carpeting has been installed throughout the branch. View photos from opening day, August 17, 2016. Completed. Opened to the public on September 28, 2016. 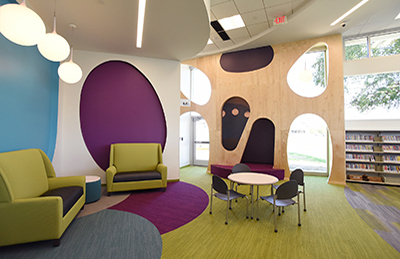 The dramatic renovation of the Prairie Commons Branch includes a colorful new children's area, inspired by nature with bright colors and organic shapes throughout. 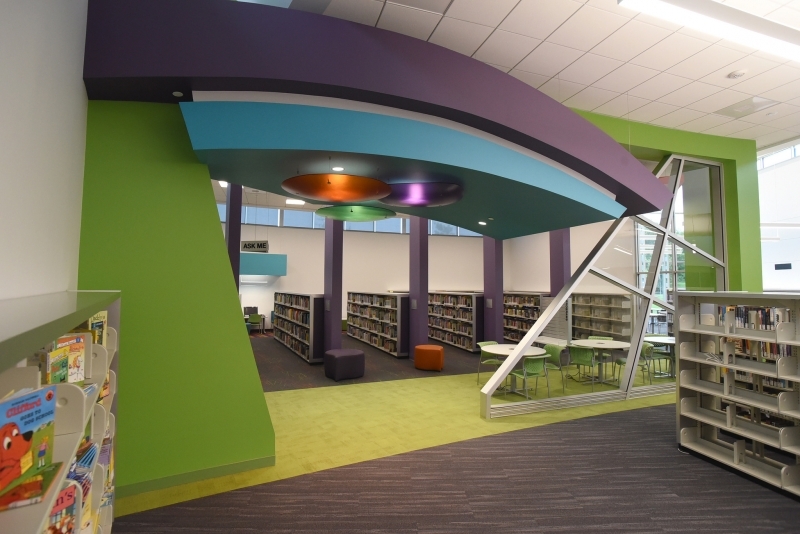 The space is designed for discovery and features several reading nooks and cutouts for kids to explore. New shelving, called browsing bins, has been installed and will allow children to more easily select their own books. The space also features special furniture for families to read and do activities together, as well as a family restroom. The teen space is marked by a bold blue entrance and includes computers and comfy furniture. Two private study rooms have been added to the branch, as well as a new computer lab, a quiet reading room, a laptop bar, a business center with fax, scanner and copy machines, and a vending area. A revamped community meeting room with a projector, sound system and white board will be available for use by individuals and organizations. New shelving, furniture and carpeting has been installed throughout the branch. Completed. Opened to the public January 22, 2016. The transformation at the Rock Road Branch is one of the most dramatic in the first phase of construction projects at SLCL. An additional 4,000 square feet have been added to the building-making way for an additional meeting room (two total for the branch) and a substantially larger children's area. The front of the building has a new entrance and façade-most of the brick has been replaced with glass to allow natural light to fill the branch. The new children's area is brightly decorated in shades of purple and includes kid-friendly furniture and interactive learning stations. Teens will have a designated space also, with computers and fun furniture. The renovated branch features a glass enclosed computer lab, where patrons can take free classes on a variety of technology related topics. Other highlights include a business center with fax, copy and scanning machines; a café area with tables, a laptop bar and vending machines; a quiet reading area called the "living room;" and two private study rooms. Renovated locations will also receive new computers, furniture and carpeting. Comfortable seating areas are available throughout the branch. View photos from opening day, January 22, 2016. Completed. Opened to the public July 27, 2016. Updates at the Samuel C. Sachs Branch include a complete overhaul of the interior space. An oversized canopy leads into the new children's area-which can be seen from any point in the branch. 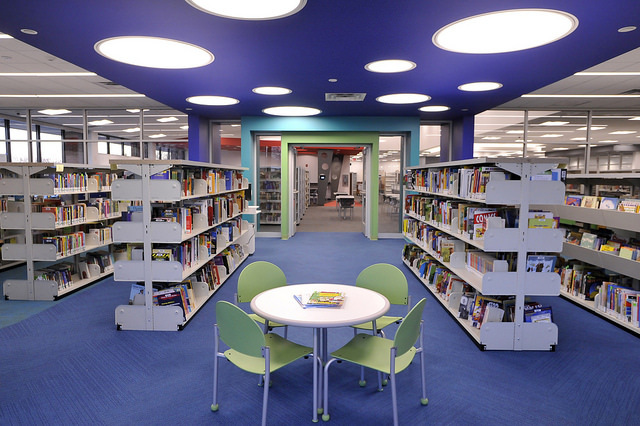 The enhanced children's area also features browsing bins that allow kids to select their own books, as well as special furniture for families to read and do activities together, and a family restroom. Teens have a designated space also, with computers and fun furniture. Three private study rooms have been added to the branch, as well as a new computer lab, a quiet reading room, a laptop bar, a business center with fax, copy and scanning machines, and a vending area. A revamped community meeting room with a projector, sound system and white board are available for use by individuals and organizations. New shelving, furniture and carpeting has been installed throughout the branch, as well as a bright, new color palette. View photos from opening day, July 27, 2016. Completed. Opened to the public February 13, 2019. The branch is located at 12863 Willowyck Dr., St. Louis, MO 63146. New ​20,000​ square foot building on existing site. Completed. Opened to the public December 18, 2015. Patrons enter the renovated Weber Road Branch slightly north of the old entrance. Once inside the building, visitors will see the sleek new café area with tables, a laptop bar and vending machines. A glass enclosed computer lab offers training on a variety of technology related topics. A colorful archway of blue and green leads into the expanded children's area, where kids and parents can enjoy interactive learning activities. Teens have their own space too, which is decorated in bold shades of red and grey. The new floor plan takes advantage of the branch's many large windows, the quiet reading room features comfortable chairs and abundant natural light. 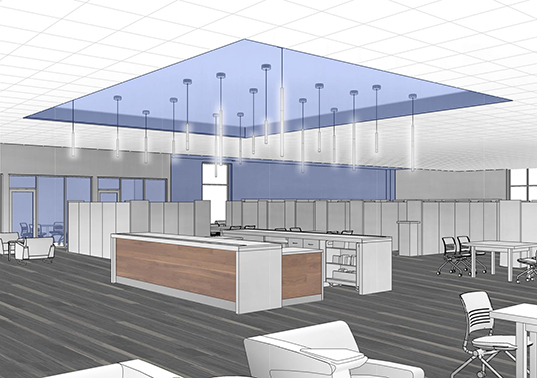 Other highlights of the renovated branch include a business center with fax, copy and scanning machines; a large community meeting room; and two private study rooms. Renovated locations will also receive new computers, furniture and carpeting. Comfortable seating areas are available throughout the branch. View photos from opening day, December 18, 2015. Construction is scheduled to begin in late 2019. The timeline is subject to change based on weather conditions and other factors. New ​80,000 square foot building located near the intersection of Clayton Road and Spoede Road in Frontenac, Missouri. The building will house a new History & Genealogy Center and an Administrative area for staff. The History & Genealogy Center will hold SLCL’s substantial genealogy and local history collection which includes over 100,000 print items, 850 periodical titles, 40,000 microfilm rolls, and a variety of electronic databases, as well as several rare collections including the St. Louis Genealogical Society Collection, the National Genealogical Society Book Loan Collection, the Julius K. Hunter and Friends African American Research Collection and the Jewish Genealogical Society of St. Louis Collection. Currently, the collection resides in a 5,500 square foot area at Library Headquarters, 1640 S. Lindbergh Blvd. The Administrative area will support all materials processing, bookmobiles, programming development, information technology, marketing, and administration for SLCL’s 20-branch system. Your Library Renewed is a capital improvement campaign that is upgrading or replacing 19 of St. Louis County Library’s 20 branches. The campaign was made possible when voters in the Library District approved a 6-cent tax increase in November 2012. All of the Your Library Renewed (YLR) projects reflect what SLCL has learned from extensive strategic planning. The strategic planning process relied on input from library patrons, staff and administrators as well as non-users, community leaders, and hired consultants. 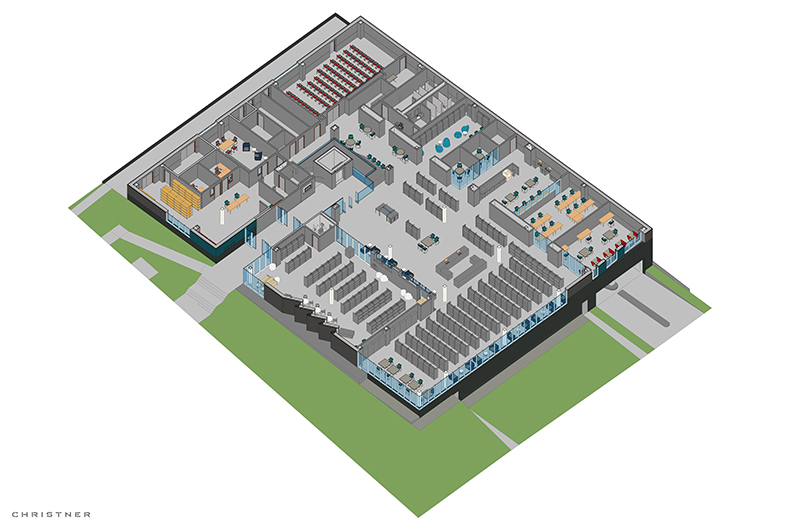 The resulting Facilities Master Plan was adopted by the SLCL Board of Trustees in 2012. The document established an initial framework and timeline for implementing the improvements. Library staff have revised the plan as needed. The first YLR project was replacement of the Lewis & Clark Branch. Groundbreaking for the new building took place in October 2014, with the new branch opening in October 2015. To date, 11 of the 19 projects have been completed. 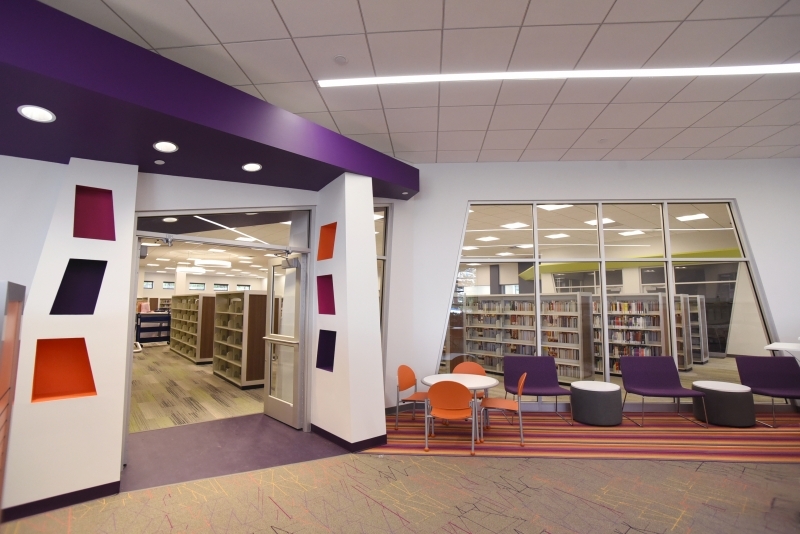 The new Meramec Valley Branch will open on Wednesday, May 15, 2019 at 9:00 a.m. as part of the Your Library Renewed campaign. Construction on the Meramec Valley Branch began in May 2018. The new Thornhill Branch opened on February 13, 2019. Over 1,800 patrons visited the new branch on opening day, checking out 3,000+ items. The new and improved Thornhill Branch will open on Wednesday, February 13, 2019 at 9:00 a.m. as part of the Your Library Renewed campaign. Plans were announced in December 2018 for two new buildings–a History & Genealogy Center and an Administrative Building. St. 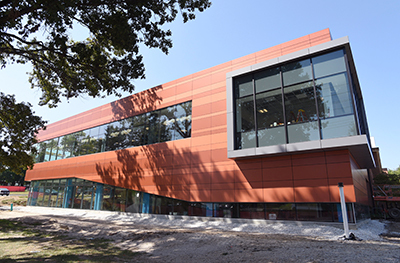 The renovated and expanded Grand Glaize Branch will open on Thursday, September 13, 2018 at 9:00 a.m. as part of the Your Library Renewed campaign. SLCL is in the midst of a capital improvement campaign called Your Library Renewed. We're building new branches and renovating existing buildings over the next few years. The improvements were funded by a 2012 tax increase. Currently three branches are closed for construction: Grand Glaize, Mid-County and Thornhill. You can view the full construction schedule here. Why is my branch closing? The remodeling projects are extensive and will involve the entire building. Keeping the staff and public safe is a top priority, and safety would be compromised if the branch remained open during renovation. Renovated branches will be closed for approximately 6-9 months. 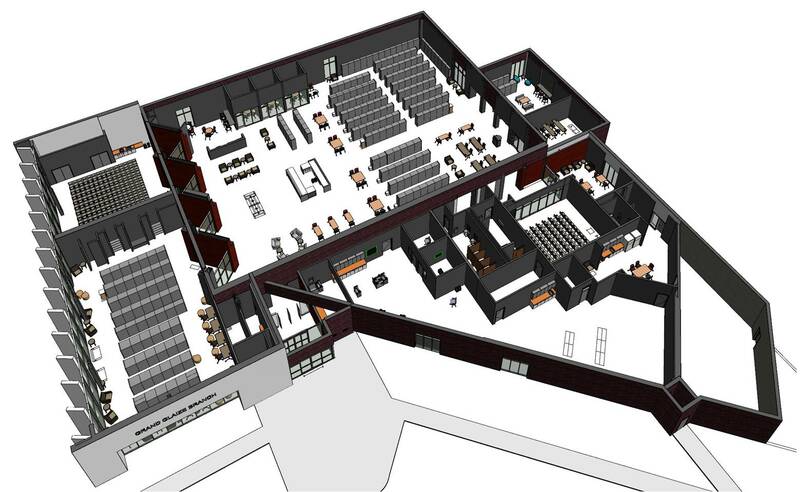 Some of the upgrades will include the addition of family restrooms, private study rooms, more public computers and quiet, comfortable seating areas. How long will the renovations take? Right now we expect the renovations to take approximately 6-12 months at each location. All of the phase II projects are expected to be completed by the end of 2017. The timeline is subject to change based on weather conditions and other factors. What branch should I go to while my home branch is closed? A complete list of SLCL locations is available at www.slcl.org/locations. Below are the branches nearest to the closed locations. How do I place holds while my home branch is closed? You'll place holds the same way as before via the online catalog or with assistance from a staff person. During branch renovations, you'll need to choose an alternate location to retrieve your hold. How will I know when my branch is reopening? Patrons will be notified via email, social media and on the library's website when the renovated branches are reopening. We plan to have reopening celebrations at each of the renovated branches. Will the book drops still be open at the closed branches? No-you'll need to return your items to another open branch during renovations. All staff are being reassigned to other SLCL branches during the renovations. What will happen to the collection? Collections and equipment from the renovated branches will be housed in an off-site storage facility during construction. Some of the most popular materials will be redistributed to other branches for check-out. If you have additional questions, please speak with a staff member or submit your comments by using this form.